Tracking Network Cables - Shawn Woodward: Strong engineering professional with a passion for automation, devops and cloud. Recently I helped a friend track down some Ethernet cables at his place of business. I wanted to share some of the methods we used. First I tried to use my network toner. 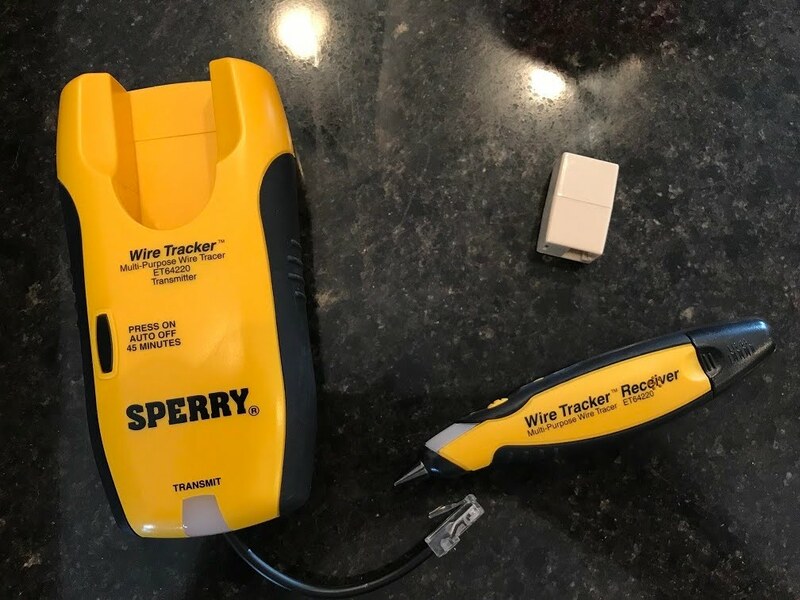 I have a Sperry ET64220 that was originally purchased at Home Depot. It works well when teaching about network troubleshooting, you simply hold up a cable in front of people and tell them to listen for the squelch sound. In the real world it really only works about 30% of the time. Due to the noise on the line it usually just produces a loud humming sound. Every 3 seconds it turns off then turns back on your Ethernet port on your machine. This results are the lights on the switch from the port you are plugged into look normal then go dark with the interface is disabled. This saved me a bunch of time. Copyright © Shawn Woodward: Strong engineering professional with a passion for automation, devops and cloud.